Cerium Networks is pleased to welcome Gregg Pruett as our new Vice President of Technical Sales – Infrastructure. Working from Cerium’s Boise office, Gregg is responsible for defining and growing Cerium’s Security, Enterprise Networking, and Data Center practices, as well as nurturing Cerium’s strategic partnerships with Cisco and Dell EMC. He is also entrusted with ensuring Cerium Solution Architects are primed to deliver the best solutions to help Cerium clients achieve their business goals and keeping Cerium’s sales team abreast of leading-edge technology and best practices. Gregg’s expertise and knowledge are well known in the technology and telecommunications industries. He joins Cerium from his most recent role as Data Center Account Executive for Dell EMC. 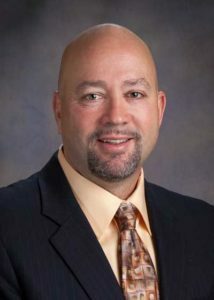 With over 27 years of IT experience, Gregg has served as a Senior Vice President and Vice President of Technology for Compunet, spent six years as a Cisco Systems Engineer and taught at Boise State University for five years. Gregg spoke about what attracted him to this opportunity at Cerium, “I’ve worked in all three sectors of our industry, customer, manufacturer, and reseller, and the reseller space is where I find my energy. It recharges me. Cerium had the right combination of talented people, great products, presence in the market, a desire to grow and the need for my skill set. Cerium wanted me as much as I wanted Cerium.” Gregg said.